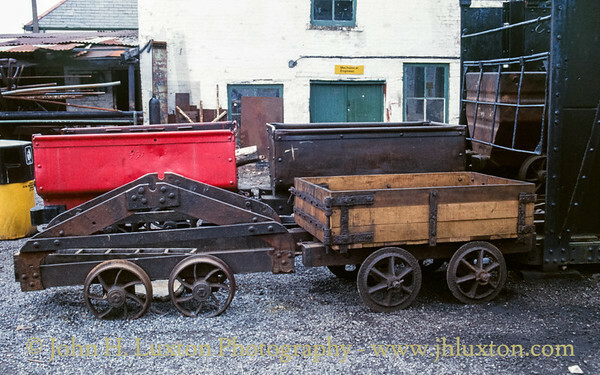 Big Pit National Coal Museum (Welsh: Pwll Mawr Amgueddfa Lofaol Cymru) is an industrial heritage museum in Blaenavon, Torfaen, South Wales. 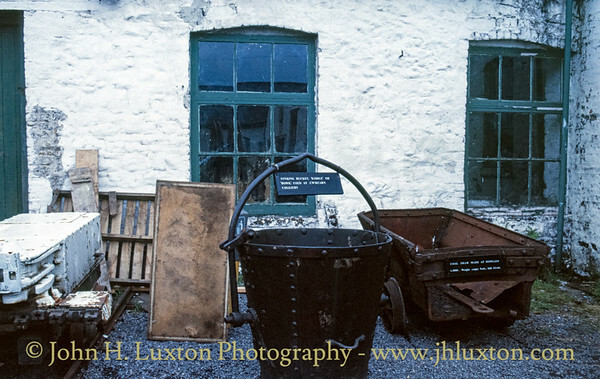 A working coal mine from 1880 to 1980, it was opened to the public in 1983 under the auspices of the National Museum of Wales. 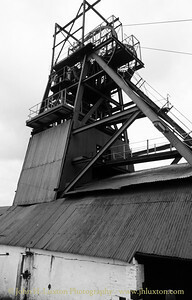 Located adjacent to the preserved Pontypool and Blaenavon Railway, Big Pit is part of the Blaenavon Industrial Landscape, a World Heritage Site, and an Anchor Point of the European Route of Industrial Heritage. 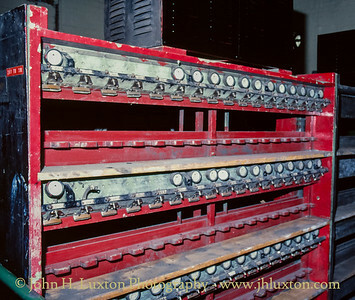 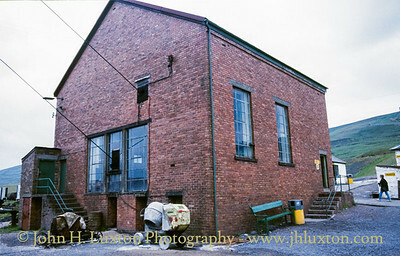 These 35mm archive images were taken in 1989. 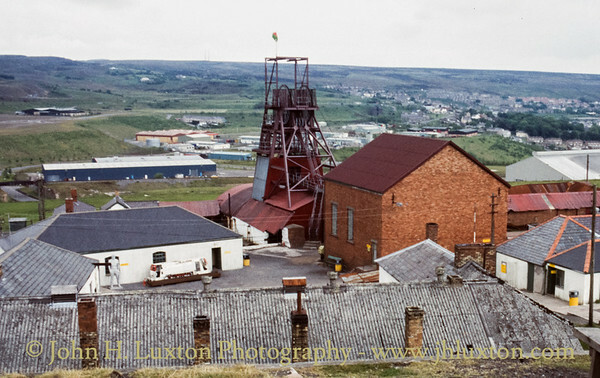 General view of the pit head area looking towards Blaenavon. 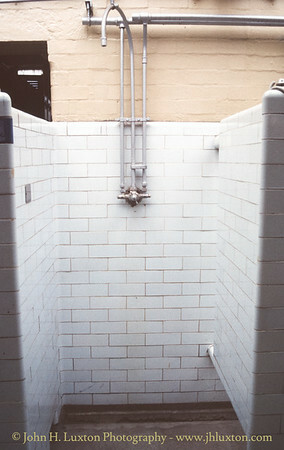 Showers in the Miners' Welfare building erected in 1939. 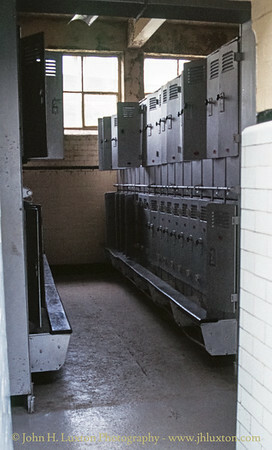 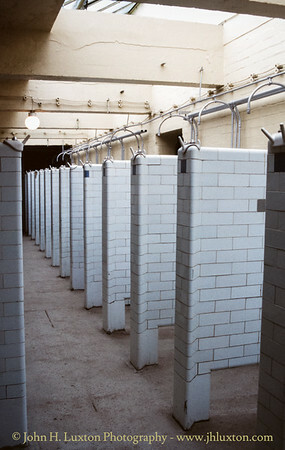 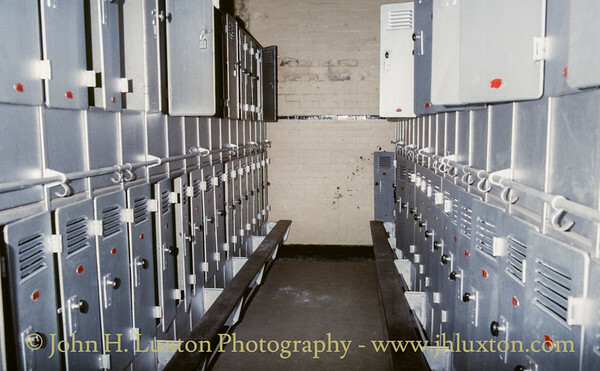 The locker rooms in the pit head baths building which dates from 1939. 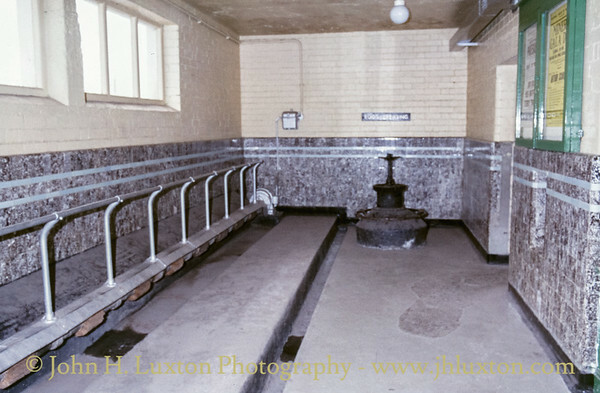 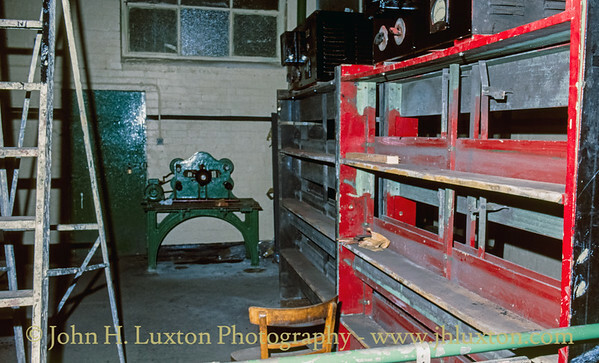 The boot cleaning room in Miners'w Welfare Building - built in 1939. 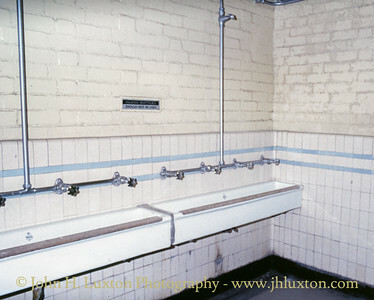 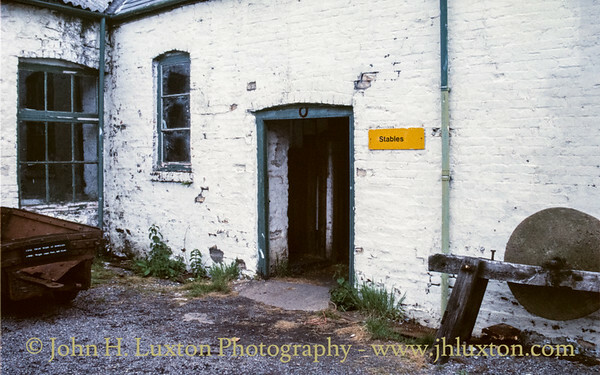 Miners' Welfare Building erected in 1939 provided canteen, showers, changing rooms etc for the miners. 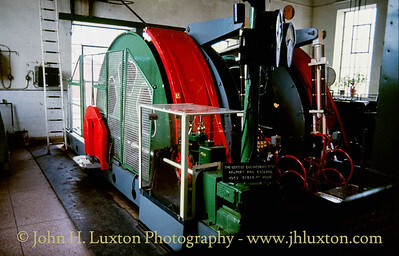 Built in "international modernist" style. 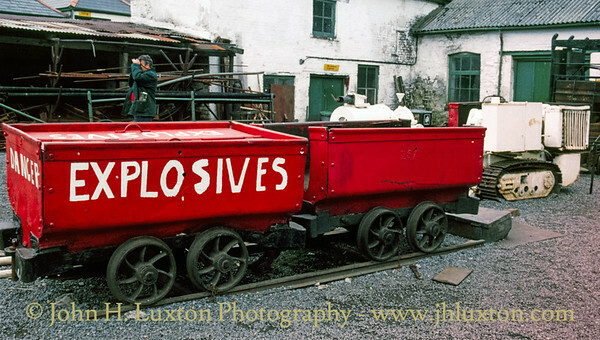 Explosive trams in the Blacksmith's Yard. 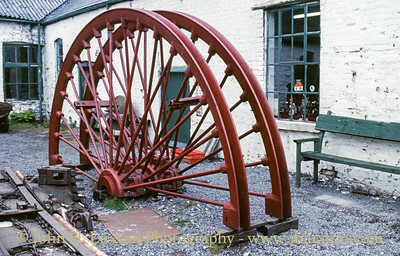 Sheave wheel on display in the Blacksmith's Yard. 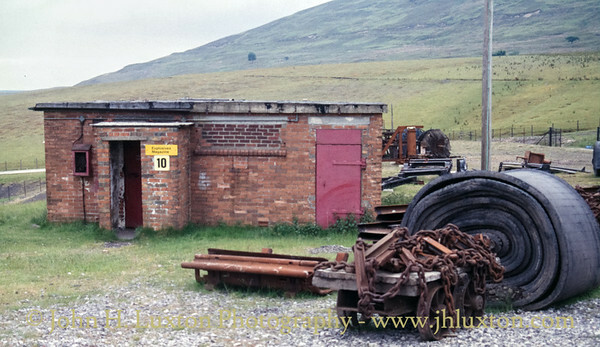 A kibble from Cwm Carn Colliery. 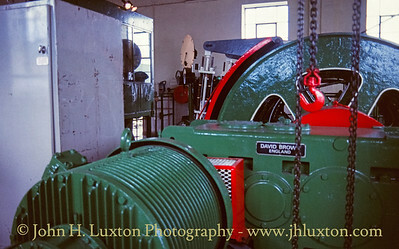 The winding engine built in 1947 by the Uskside Engine Company of Newport. 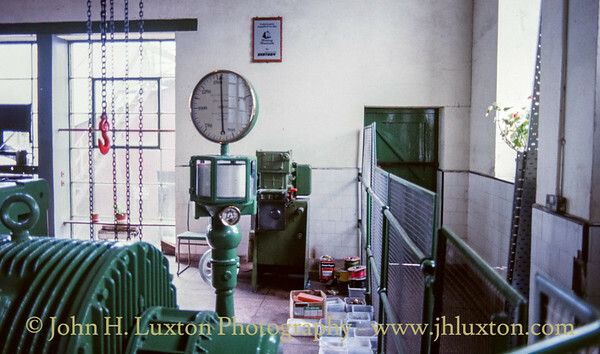 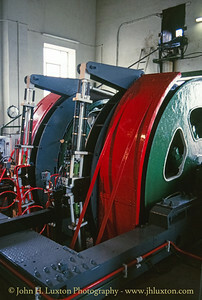 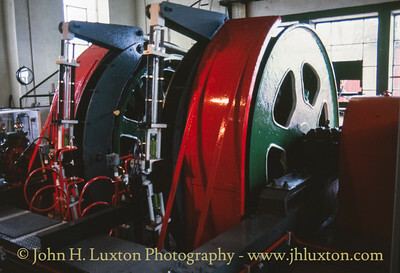 The winding engine house which is home to the 1947 built electric winding engine which replaced a previous steam winder.